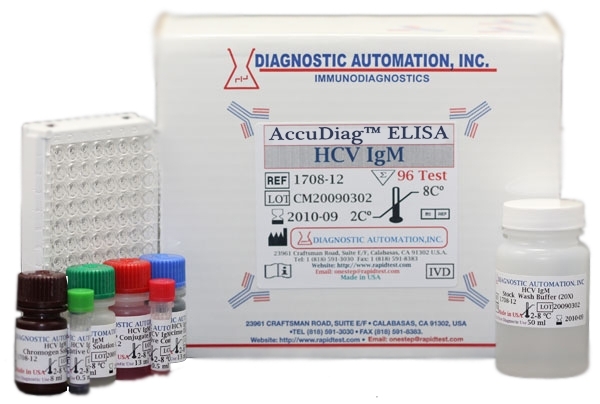 HCV ELISA kit - HCV ELISA Test Kit | GMP | 818-5913030-USA. 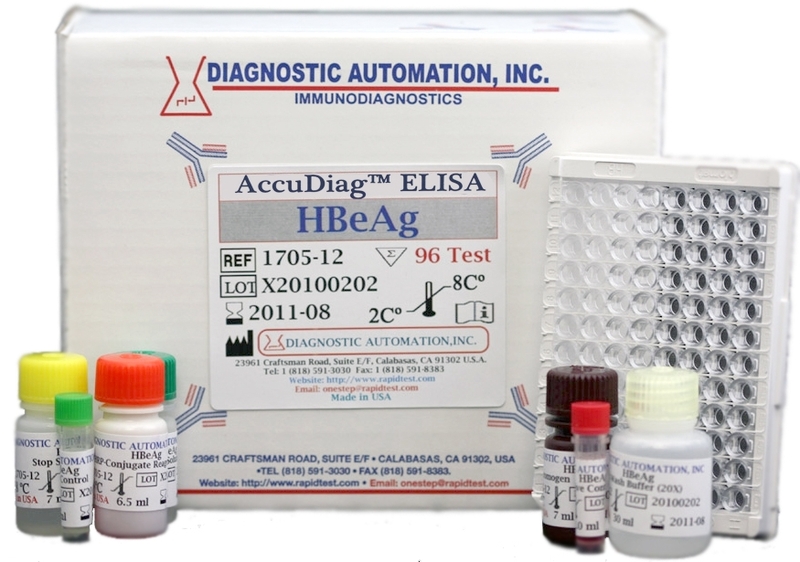 The HCV Ab ELISA Test is for clinical lab diagnosis of patients who are suspected of having a hepatitis C virus infection, and for blood donor screening. 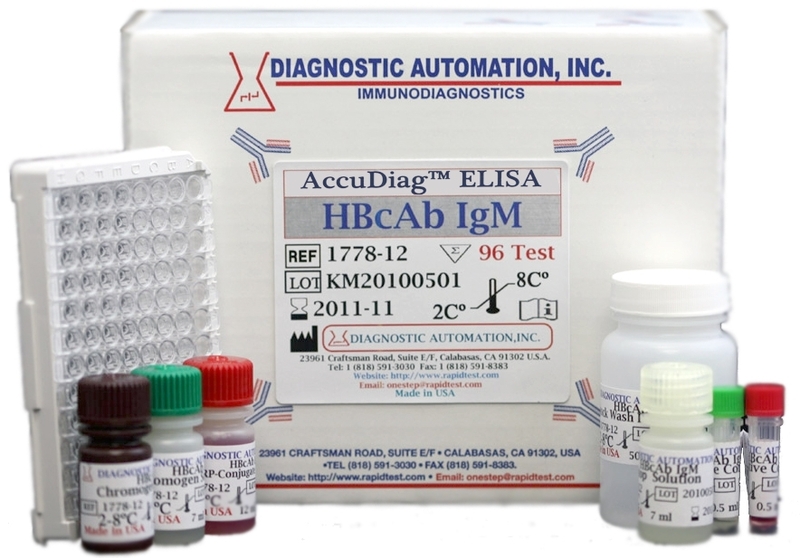 This HCV Ab ELISA test is an enzyme-linked immunosorbent assay for in vitro qualitative identification of IgG antibodies to hepatitis C virus in human serum/plasma. 4. Specimen Diluent: Protein-stabilized buffer, casein, and sucrose solution. 7. Chromogen Solution A: Urea peroxide solution. For more than 50% of patients, HCV develops into chronic hepatitis and has become the principal cause of cirrhosis of the liver and hepatocellular carcinomas. HCV is now accepted as the major agent for non-A and non-B hepatitis transfusion infection. HCV is defined as an envelope, single stranded positive sense RNA (9.5kb) affiliated with the Flaviviridae family. Classification of hepatitis C virus is established through six major genotypes and series of subtypes of HCV. Blood donor transmissions of hepatitis C virus have notably decreased since screening started in 1990. Three generations of HCV ELISA tests have been established and each generation has resulted in improvement in sensitivity of detecting anti-HCV. 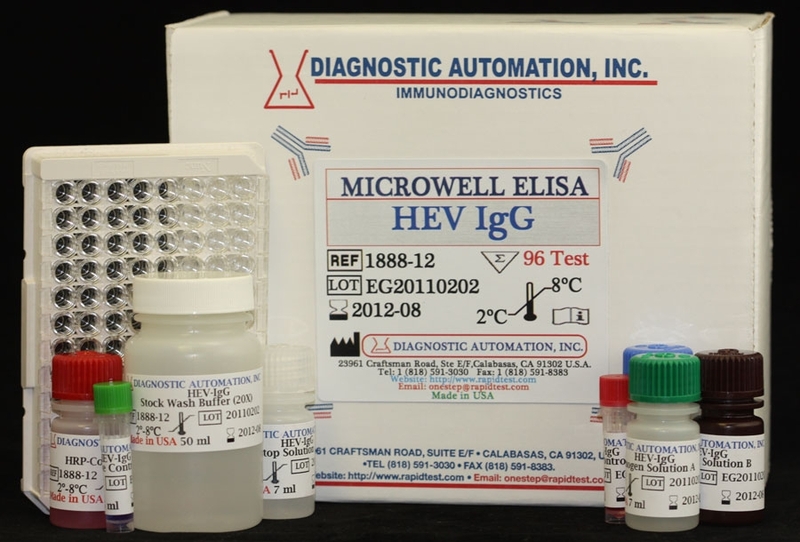 The principle of the HCV ELISA test involves a two-step incubation procedure in which solid phase, indirect ELISA technique for HCV antibodies is established. In this third generation HCV ELISA test, recombinant, highly immunoreactive antigens corresponding to the core and non-structural regions of HCV, are pre-coated on the polystyrene microwell strips. Most Blood Bank ELISA kits follow a similar method. 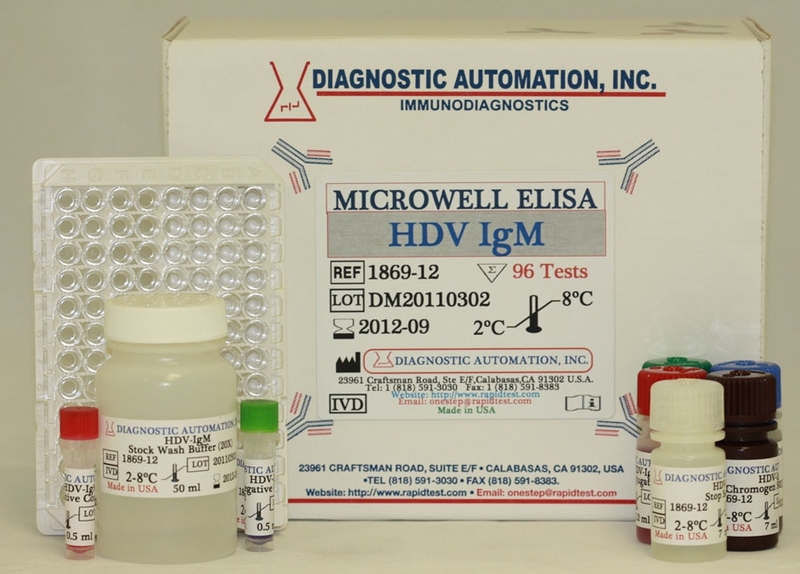 See the HCV Ab ELISA Kit product insert for details on preparation, procedures, quality control, and test result interpretation. 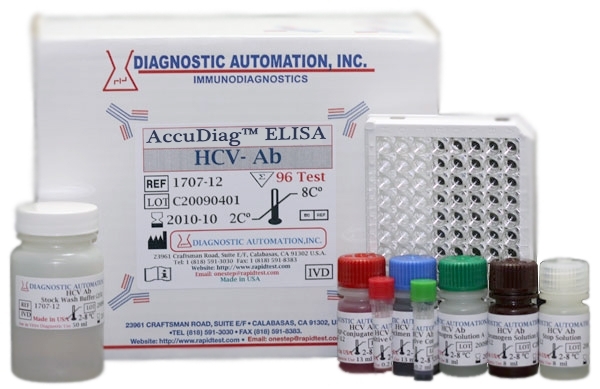 Diagnostic Automation, Inc. , Third generation HCV Ab was established because antibodies to NS5 non-structural protein of HCV were being developed by infected individuals. Thus, in addition to NS3 (c200), NS4 (c200), and Core (c22), the 3rd generation tests included antigens from NS5 region. This 3rd generation of tests have improved sensitivity and have lessened the time period (60 days) between infection and the subsequent appearance of antibodies to HCV.